I am happy Today to share Word Art Wednesday, with you! Every other week we have a new challenge, A fresh devotion, a beautiful Scripture digitized and freely given for your card making and paper crafting! I don' think there is another blog like it! 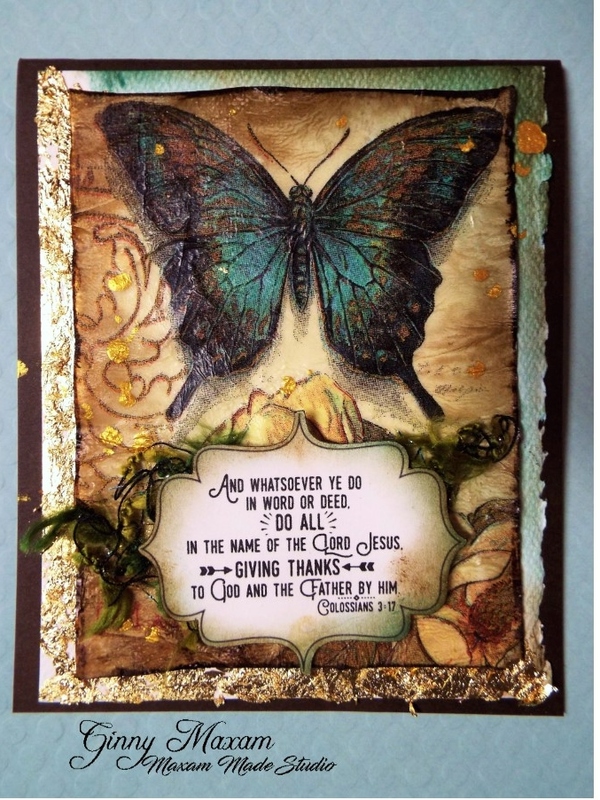 MAke a card ( you can make up to 5) enter it in the challenge and you might win a super prize! Don't forget to mail the card - I am sure you there is someone in your life that could use the encouraging. I don't know anyone who doesn't love to receive a beautiful handmade card! I created this card using a 'Stash Buster' technique If you are interested in that process click HERE. Stop over to the Word Art Wednesday Blog and grab your verse, make a card, enter it in the challenge for an opportunity for a great prize!